Building of mystery. Much of it is underground. Come explore it with us Oct. 17. Ever wonder what happens to the water that runs into our sewers during heavy rains, or about where our sewage goes? Or did you ever wonder what goes on in the big brick building at Magazine Beach Park, just to the west of the BU Bridge? 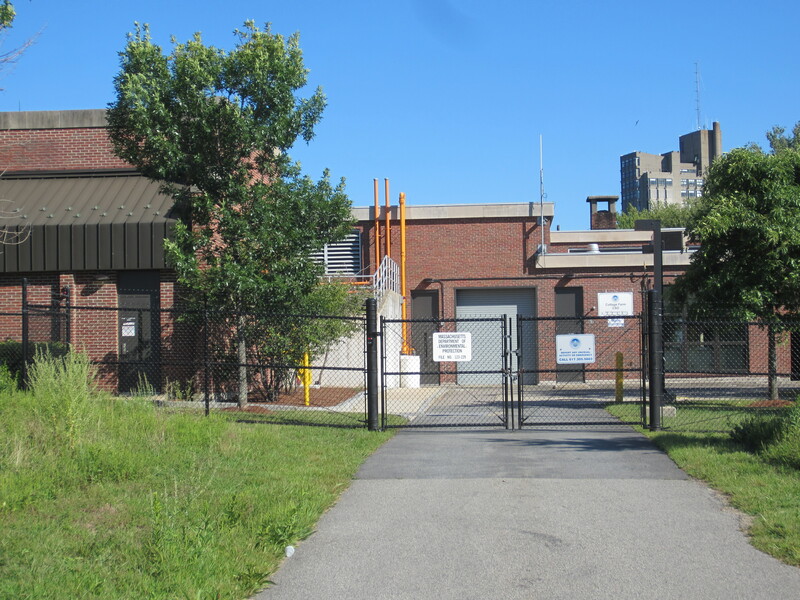 Stephen Cullen, the Director of Wastewater Operations & Maintenance at the Massachusetts Water Resources Authority (MWRA) will lead a tour of the Cottage Farm Combined Sewer Overflow Treatment Facility at Magazine Beach on Thursday, Oct. 17th at 7 pm. Not only will he tell you about the Cottage Farm facility, but also he’ll share an overview of recent water and sewer system-wide improvements and plans going forward. To sign up for the tour, contact Cathie Zusy at cathzusy@gmail.com. Please wear comfortable, closed toe shoes. Also, save the date: Saturday, November 9 (9-12 noon) for our next Magazine Beach Cleanup.